Depending on how early the condition is detected, its severity can vary from mild to severe. Also, if not treated, it can persist throughout the entire life of the child. This is mainly attributed to the left side of the brain being dysfunctional. In this case the cerebral cortex, which is the left side of the brain, is not damaged, but rather not functioning in the normal way. This makes the child slow in learning and the child struggles with writing, reading and spelling. 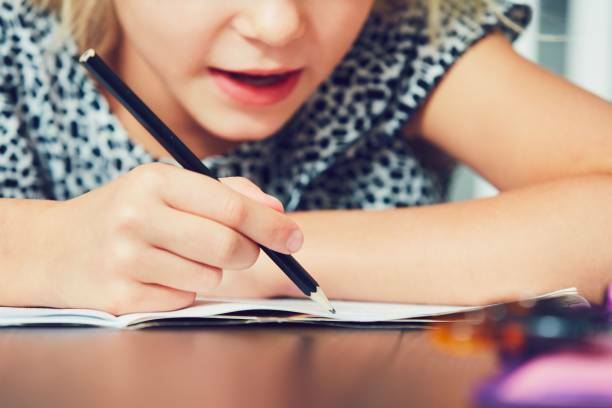 If detected early, and the appropriate educational intervention administered, children with this type of dyslexia become successful in their academics throughout their lives. It is hereditary; meaning it is passed in the family line. I addition, research shows that it is more common for boys than girls. This is also referred to as developmental dyslexia, since it is caused by complications in brain development that arise during the early development of the child. The best thing about this type of dyslexia is that it fades away as the child matures. This is caused by injury or trauma on the part of the brain that controls reading and writing. A child suffering from this type of dyslexia normally has difficulties in interpreting visual objects. It is attributed to the malfunction of the part of the brain that deals with visual processing. A child suffering this type of dyslexia has difficulties in speaking and hearing. It is attributed to the malfunction of the part of the brain that processes sounds and speech. This is the simplest form of dyslexia to detect in children. A child suffering from this has difficulties in holding and controlling a pen/pencil while writing. Delay in early language development. Difficulties differentiating words that have similar sounds. iii. Difficulties when copying from board/book. Difficulties controlling pencil/pen when writing. The child may become withdrawn both in class and in the playground. The child may have problems finding the right word to use when expressing their thoughts. In most cases the child will know what they want to say, but take time to construct sentences. vii. Difficulties distinguishing visual signals. This make it hard for the child to read or distinguish what he/she sees. What next after identifying that the child has dyslexia? If you recognize that a child is suffering from dyslexia, it is prudent to consult a psychologist, nurse, speech therapist or any other pertinent professionals who may assist in identifying what type of dyslexia the child is suffering from and thus administer the correct treatment.